Get your tickets now to July's Foxwoods Resort Casino 301 to be entered to win great prizes! Need a fun holiday gift idea for someone special? How about tickets to the Foxwoods Resort Casino 301 on Sunday, July 21, 2019?! 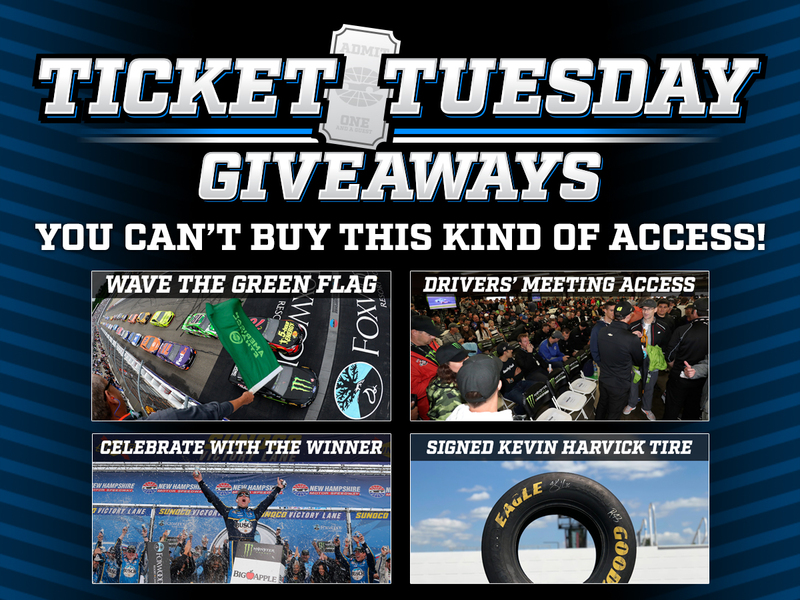 Plus, if you purchase tickets before December 17, 2018, you'll be in the running to make your NASCAR weekend even more memorable by winning an experience money can't buy with Ticket Tuesday Giveaways! Each Tuesday from November 27 - December 18, we'll select a winner for one of four special experiences for July's Foxwoods Resort Casino 301 weekend, July 19-21, 2019. Winners will be selected from entries (see Official Contest Rules) and current 2019 Foxwoods Resort Casino 301 ticket holders at the time of the drawing, so the sooner you buy, the more chances you'll have to win! Anyone who has already purchased tickets will be automatically entered each week.